There may be cases where you stare at your laptop screen, wishing you had enough dollars in your bedside drawer to buy the CB radio glimpsing on screen in the night. What if I tell you, you can still buy a good CB radio even with a small budget. You get it! I’m talking about used CB radios. Don’t get tensed! The decision to get a pre-owned CB radio will never be a bad decision if you strictly follow what I am going to talk ahead. Of course! We’ve got answers. The question may arise in your mind as to what may be the benefits of buying old CB radios? Will it be some kind of junk that would cost me some dollars if not the fortune? Will my car be buzzing around the street with shabby secondhand CB radio hanging loose in my car? The answer is an absolute NO. We’ll guide you through some of the benefits of buying pre-owned old CB radios and the reasons why they are not all junk. So, let’s hop in and take a thorough look. 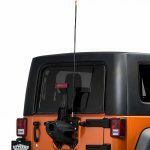 Whereas buying the new CB radio can cost you more than 60 dollars at least, this may not be a wise decision after all. 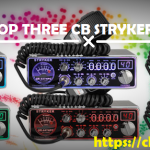 If you plan on buying the CB radios for your kids or just for fun, save your money by buying more than one in a price for the new one. If you’re someone like many of us who have huge tendency to land things on the floor, go for the good old CB radio. Breaking something that costs more always upsets us in lonely nights. The good part about buying used technology-based gadget is many dealers sell their products only to upgrade to newer technology. When we know someone in the market selling, for this reason, we want to shove money in their pocket to buy that. The reason is, we know this technology-lover must have kept his possession with care and we wouldn’t be buying some junk. Thankfully, this is the case with CB radios as well since it is a technology-based product. You’ll find plenty of sellers either in your city or online who are willing to deal with this reason. If you’re someone who purchases CB radios as a hobby, pre-owned CB radios will be a good choice. You may not be wanting to spend a lot of your collection spree only to stack the radios on a wooden shelf. If your concern is collecting CB radios that work well, you can buy used ones making it easier for you to buy plenty. Good radios that are secondhand are suitable for setting it up on your vehicles as well. If your job isn’t risky, you can place the used radio in your car and go for long drives. You can stay updated with weather conditions through tuning in to different channels or get in touch with your motorbike squad. If you’re looking for buying CB radios in good condition, we can walk you through the tips on how to do so. Whenever we go out shopping gadgets like smartphones, tablets or even computers, we often seek expert’s advice in this domain. You can apply this common practice in ‘CB radio shopping’ as well. Look for friends or colleagues who may have better knowledge than you when it comes to CB radios. Convince them to come along, or, at the very least, ask them for features to look in used radios. When your friend accompanies you in dealer-buyer meeting, you’ll be more confident, knowing he won’t let you buy a worn-out product. Take enough measures to know if the dealer can be trusted or not whether you’ve reached him through the phone or internet. Judge them on the basis of their knowledge in this field. 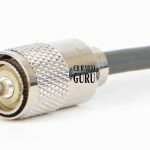 If you buy from a good CB Radio dealer, you’re most likely to get limited guarantee at least. Such dealers have many years of repairing and building experience. You’ll be relieved to realize your radio had been serviced in expert’s hands, someone with electronics being their forte. Before exchanging money with secondhand CB radios, standing by the stall in scorching sunlight, test the features most important to you. Let’s say you’re the person who travels a lot, you’d certainly need weather channels to work properly. Test all weather channels thoroughly to make sure you can avoid slippery roads if you’ve CB radio before you. Of course, in the end, we’re always left with the million dollar question: “Where do I find good secondhand CB radios”? About that, you need not worry as we’ve already got this down for you. Unless your friend is selling you their collection, you have two sources from where you can buy good used radios. 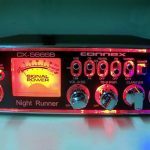 Expert Dealers: One way to purchase secondhand CB radio is buying from local dealers in the market who are CB radio enthusiasts. You need to make sure they have good past experience in this field. Moreover, these dealers will have almost all the accessories for the CB radio you’re going to buy. 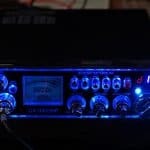 Reputed Stores: Another way to purchase used CB radio in mint condition is buying from highly reputed stores (can be online too). These stores do not want to sell faulty products to their customers since bad reviews can hurt their prestige. Good online stores may include Amazon, eBay or other stores that are solely for CB radios like Walcott or CB world. It doesn’t mean that if you buy a pre-owned CB radio, it would stop working after a few days. However, it can certainly mean buying CB radios in perfect condition in a lesser amount of money. Before buying the product, seek your radio-whiz friend’s assistance, test the product, and make sure you’re buying it from reputed stores or good dealers. where can i buy a president ssb radio a store i can walk into in long island n.y. I think you will be able to find one from the list we have!